If your professional wish list includes elevating your Foreign Corrupt Practices Act knowledge and practical skills, you can start 2019 off right by attending the FCPA Institute – Phoenix on January 17-18th. 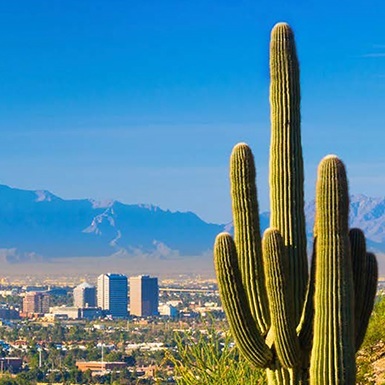 Lawyers, in-house counsel, and compliance professionals from around the world have already registered for the FCPA Institute – Phoenix and you can too at this link. In short, the FCPA Institute elevates the FCPA learning experience for a diverse group of professionals and is offered as a refreshing and cost-effective alternative to a typical FCPA conference. The goal of the FCPA Institute is simple: to develop and enhance fundamental skills relevant to the FCPA, FCPA enforcement, and FCPA compliance best practices in a stimulating and professional environment with a focus on learning. The FCPA Institute presents the FCPA not merely as a legal issue, but also as a business and accounting issue. The FCPA Institute is thus ideal for a diverse group of professionals such as in-house and outside counsel; business executives; finance, accounting and auditing professionals; and other compliance professionals seeking sophisticated FCPA knowledge and practical skills. Set forth below is a sampling of what FCPA Institute “graduates” have said about their experience. “The FCPA Institute was one of the best professional development investments of time and money that I have made since law school. The combination of black letter law and practical insight was invaluable. I would highly recommend the FCPA Institute to any professional who has compliance, ethics, legal or international business responsibilities.” (Norm Keith, Partner, Fasken Martineau, Toronto). FCPA Institute participants not only gain knowledge, practical skills and peer insight, but can also elect to have their knowledge assessed and earn a certificate of completion upon passing a written assessment tool. In this way, successful completion of the FCPA Institute represents a value-added credential for professional development. Attorneys who complete the FCPA Institute may also be eligible to receive Continuing Legal Education (“CLE”) credits. In addition, previous FCPA Institute participants have successfully obtained continuing education units from the Society of Corporate Compliance and Ethics for attending the FCPA Institute. To learn more about the FCPA Institute and to register, click here.